So it’s been a while since I’ve upgraded my storage situation, with the abundance of high bit rate music and HD content (TV Series and Movies) – it’s hard to keep pace. Back in March 2009 I got myself my first pretty heavy-duty storage device – Getting Serious About Backup — Western Digital My Book Mirror Edition 2TB. It was mostly for backing up my pictures and files on a RAID-1 mirrored device for redundancy. As a consummate digital media consumer though, it soon ran out of space. Some time in 2009 I got the model I originally wanted with Firewire & e-SATA the My Book Studio 2TB. But well recently that got full too..and I’ve been wanting to move some storage onto the network so my HTPC can stream it from there rather than having to go through my desktop PC folder sharing and the attached USB drive (which can lag sometimes – especially when the HTPC is extracting/processing something). Plus having multiple computers in the house, it’s easier to backup to a network drive rather than via folder sharing. I’ve moving to the model of having less internal HDDs in the PCs and having all the storage on the network – possibly in the future I’ll be putting it in the cloud! Anyway I happened to be helping Sotong fix some of the her computer stuff over the past long weekend so we were at Digital Mall, I’ve been considering this kind of device for a while and it just so happened they had one I wanted! 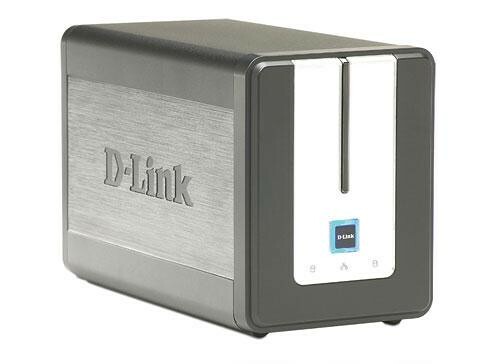 The D-Link DNS-323 which with the new firmware supports the newly released Western Digital Caviar Green 2TB SATA hard-drives! The box is slightly different, it doesn’t come with Memeo back-up software any more (same software bundled with Western Digital devices) – it now comes with FarStone DriveClone. It’s also built on Linux, so essentially you can do all kinds of things with it (It has a BitTorrent client for example, iTunes Library software called Firefly, no-IP dynamic DNS support, auto download via FTP to backup web-sites and much much more). The price of the enclosure was RM455, which is pretty decent considering the retail RRP is about $199USD which at today’s exchange rate is around RM615. As for storage the max it can support is 4TB so that’s 2x2TB drives – which Western Digital have. The cost of the drives was RM319 per piece. So the total cost for the NAS is RM445+(RM319x2) = a total cost of RM1083 for either a 4TB JBOD single storage drive on the network or 2TB or RAID mirrored storage (which I opted for). It’s only RM84 more expensive than the 2TB non-networked MyBook I bought in 2009! The price of storage now is just ridiculously cheap. I’ll be testing out the back-up software later. So far it seems good, setup was easy, formatting of course took a while. Do note it doesn’t support Windows formats, it’s either Ext2 or Ext3 as it’s running a Linux kernel. It makes no difference though, you can access it over the network just like it’s a Windows shared drive + you get the additional functionality of FTP and so on. There’s a lot of config options and all kinds of things to play with, I can see it being quite well suited to Soho operations as it has group/user functionality, quota system, FTP support, including FTP over the Internet. Great for backing up and file sharing, plus the new firmware adds support to backup to the cloud using CTERA. You can see the pricing options for the D-link package from CTERA here. 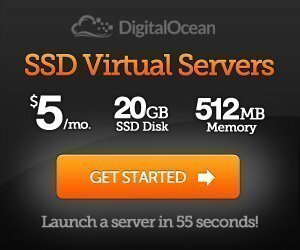 It’s not cheap, but it’s certainly not bad for cloud storage for those ultra-critical documents. When I’m settled in the house, I think I’ll probably get another one of these – or something else similar. I need to test the transfer rates over a Gigabit network though as the CPU can’t handle TOO much data I reckon. But as long as it can smoothly stream a 1080p .mkv file – I’ll be happy enough. I really do want the Drobo’s but the enclosure itself is friggin expensive. Mainly because I would like for it to be able to still stream files and for me to be able to swap out HDD whilst streaming is in progress. 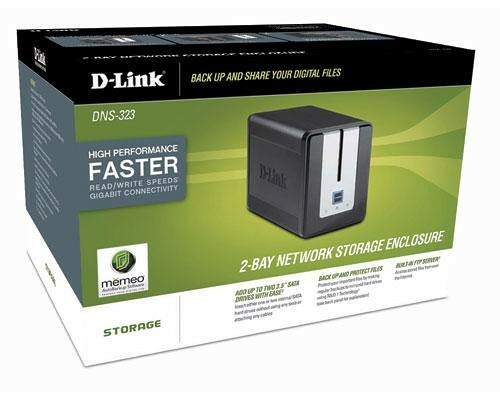 Mark Leo: Yah sadly anything with hotswap and proper Gigabit performance still costs a fortune, like the Drobo FS – you’re looking at RM4000+ just for the enclosure – add to that 5x2TB drives and you’re faced with RM4600…and that’s their lowest model. dogbone: Already watched the first two episodes dude 🙂 Rocking series! We’ve been using one in the office for around 2 years now and it’s still running. 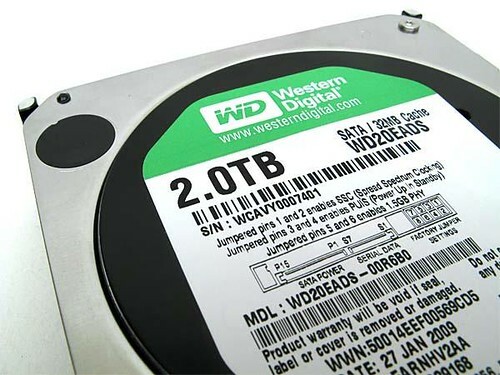 For the WD20EADS I think the drives have tler disable by default so you’ll have to enable it to prevent your raid from degrading in the future.